i am new to archery as of last year. i picked up a bow and it came with a toxonics sight. now there are two regular pins and one that kind of sits way left of the other two and swings out. i think it is called a pendulum sight or something like that. anyone know what this is used for or how it is used? thanks in advance! Here is an article I found on line. I hope it helps you out some. There are a lot of good archers on this site I'm sure someone will help point you in the right direction. You move a front sight the direction you are hitting. If your arrow is hitting low left, you move the sight pin down and left. Always start close to the target so you wont miss and ruin your expensive arrows or shoot your neighbors house. Get your sight close and then only make one adjustment at a time. Set your distance first. Make your final windage adjustment at longer distances. You might be left only 1/2 at 20 yards, which is hard to tell, but that will be a couple of inches at 40 yards. Shoot a new bow several hundred times before your final sight adjustments. The string and cables may stretch during the first few hundred shots. This may also cause your nocking point to move so check everything before your final sight in. You should mark your sight pin and windage location with a pencil. Then you can tell if something has moved. You can also tell how far you moved it from the original location if you have to make a change. Dont shoot too much at one time when sighting in. You will get tired and your form will suffer. It is best to sight in for one distance and then wait before you sight in for the next distance. After you get sighted in, you should check your sighting by shooting one arrow at each sight pin distance. Each arrow should be within your normal group for that distance. Shoot more arrows at any distance that seems to be off. Your sight pins should all be in a straight vertical line. You are either canting your bow or your bow is out of tune if your arrows hit the center up close and further left or right as you move back. Pin gap is determined by arrow speed and how far the sight pins are from your eye. The pin gap will increase the further the sight is from your eye. You will generally gain accuracy the further the sight is from your eye. That also makes the sight more likely to get damaged or get hung up on things. Decide what is the best distance for your situation. The pin gap will increase at longer distances because the arrow slows down and drops faster. Dont get your sight pins too close together. Some sights have sight pins that will actually touch. You do not need 2 sight pins in the vitals. That makes it more difficult to pick a spot and concentrate. We have found that sight pins closer than 3/16 are distracting because they cover too much of the target. Our experiments show that a 3/16 gap between pins will generally let you keep a pin in or close to the vitals at most hunting distances. By the time one pin gets to the top of the vitals, the next pin is at the bottom of the vitals on a deer size animal. A 3/16 gap will usually let you set your sight pins at 20, 30, 40, 50 yards on bows that shoot up to 270-280 f.p.s. Temperature extremes may change your equipment so you may need to sight in again. Some synthetic strings and cables change length in temperature extremes. Your bow will change draw length and poundage as a result. The nocking point may move on one cam bows because you have at least twice as much string above the nocking point as below. You should always record all your bows measurements and then check those if your sighting changes after a big change in temperature. 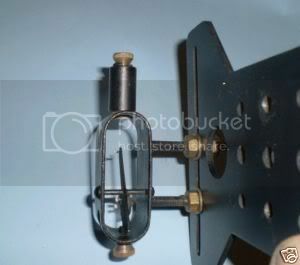 The site your talking about would it be a kellar pendulum ,i used to have one they were a pain to site in . Its been a few years since i played with a kellar . the problem isnt sighting in in general, but the use of the one pin. i have set the other two and am pretty accurate with them so far. i have set the two at 10 and 20 yards. is this ok or should i go 15 and 30? will try and post a picture of my sight in a while. I would say that you don't need to set a pin for 10 yrds. I would suggest 20 and 30 yrds. Then, You just need to know what you arrow will do when shooting with the 20 yrd pin but at yrds that are much closer. If the beast is closer than 20 yrds (like 10 yrds, just aim at a spot that compensates for the closer distance (aim a hair lower on the body). Same goes for further distances. If the deer is 35 yrds away use your 30 yrd pin and aim high. (of course you need to shoot these variable yardages and only use your two pins to know how high or olow you need to shoot).